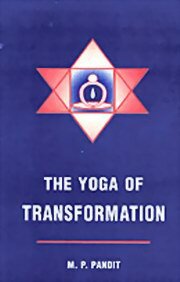 The steps on the way, the practical difficulties of Yoga and their resolution are elucidated in a simple manner. Sri M. P. Pandit served as the personal secretary to the Mother at the Sri Aurobindo Ashram, and the Mother became the entire focus of his life. He studied the classical scriptures and living spiritual traditions of India, following in the footsteps of Sri Aurobindo and Sri T.V. Kapaly Sastry. His writing career spanned six decades, publishing over 150 books and many articles on subjects as diverse as philosophy, spirituality, social and political thought, science, religion, mysticism and the classical texts themselves. At the same time he became a commentator on the teachings whose powerful insights went right to depths and essence of the meaning.